Summertime is often a time of socialization. Not only for you, but for your pet as well. If you’re planning on taking your dog for more walks, out on hikes, camping, to BBQs, you should be prepared for common summer health problems that your dog may experience. Today, we’re going to talk about what to do if your dog has heat exhaustion, anxiety about fireworks, or if you find yourself in a serious emergency situation. If you think that your dog could be overheating, make sure you take precautions to get their core temperature down quickly. Take them inside somewhere as fast as possible and get them some cool water. If you can bring ice packs with you for them to lick or to place on their body in case of an emergency, that is a great idea as well. If your dog becomes ill and is vomiting, heaving, and going in and out of consciousness due to the heat, they could be developing heat stroke and you may want to take them to the vet for further assistance. Many pets, including dogs, do not care for loud noises any time of year. However, as many of us know, dogs are particularly prone to a dislike and anxiety towards fireworks. It is a good idea to ask about this if you are adopting a dog who has been exposed to fireworks before, or if you have adopted a special needs dog with anxiety or other health issues that may be exacerbated by the noise, lights, and smells that come with fireworks. This summer, if you’re going to have your dog in a place where they can hear fireworks, it’s a great idea to think about setting them up with some comforts before the festivities begin. First, if you can set them up in a room away from the noise, that is ideal. The further away from fireworks you can get them, the better. Next, bring them some of their favorite things. Try their favorite toys, maybe some treats, and a nice comfortable place to sleep. If your dog has particularly bad anxiety towards fireworks, you may want to try a scented and calming collar and/or treats. Scents like lavender or chamomile can help your dog relax during a stressful time, just check with your vet first. Lastly, if none of that is working, talk to your vet about possible anxiety medication, as long as they are in good health. 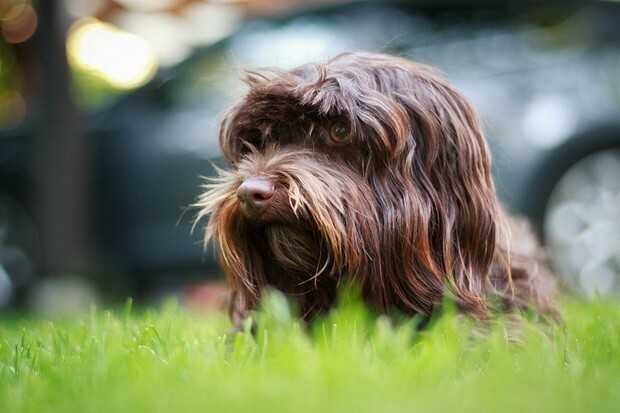 In the summer, so many fun activities take place outside, which is why you should be aware of certain diseases and illnesses that your pup may be susceptible to when they venture into the great outdoors. Whether you take them camping or just into the backyard for a BBQ, you should be prepared to keep your dog safe this summer. For example, ticks and fleas aren’t just enemies of the outdoors. They can infiltrate your backyard easily and attack your dog. As such, before summer starts, it’s a good idea to take your dog to the vet and get them equipped with the right tools to fight off pests. If you have purchased or are considering a pet wellness plan, you may want to look for a plan that covers annual flea and tick protection. In addition, if they are coming into contact with other animals of any kind, they should be up to date on all vaccinations, including rabies. Especially if your dog comes into contact with other dogs or even animals that are not other dogs, they could become exposed to illnesses like rabies that can be devastating if not caught early. It’s also just a good idea to make sure that your dog feels comfortable around other dogs. Now is a good time to start slowly socializing your dog on a leash. Even if you think that your dog is good around people, you can never fully know the behavior of other dogs, or how your dog might behave if they feel threatened. Always check with dog owners before they bring pets to your house and do your best to make sure your dog feels safe in their space. Dogs simply cannot regulate their temperature the same way that humans do. They don’t sweat to keep their body cool, they resort to panting, which actually isn’t a very effective way of lowering their temperature when it’s very hot outside. Usually, the first sign that your pup is getting hot is that your dog will start to breathe heavily and stick out their tongue. From there, you may find that they try to find any source of water to cool themselves down. Finally, dogs that are overheated may lay down and not be able to move very much — possibly even pass out from heat exhaustion. If you’re going to be outdoors, you should make sure to keep a first aid kit for yourself, but also for your pet. A small kit that can hold things like bandages, emergency water, sunscreen, ice packs, ointments, a tick removal tool, and more is essential when you’re going to be outside. Think about anything that your pet might need if you and your pet were to get stranded. Especially so, if you and your pet are stranded in the heat. Something to give you some shade, some extra food and water, maybe even some paw coverings of some sort so their pads don’t get burnt on hot concrete or rocks. If you’re interested in outdoor activities, it’s always a good idea to know what to do in the case of an emergency. Knowing CPR can help save a life if you’re out camping, hiking, or even just playing in the sun. The same can be said for your dog. If your dog lands themselves into an emergency situation and you aren’t near a vet to help, it’s a great idea to know CPR. Knowing regular CPR training is also useful, but you might want to talk to your vet about the ways in which animal CPR and human CPR differ. Hospitals, vets, and and other community centers regularly teach animal CPR, not to mention, there are many certified online courses as well. Finally, summertime is a time of fun, outdoors, and adventures, but it can also be a time of accidents and emergencies. If something were to happen to your pet, of course you’d take them to the vet, but if you want to be better prepared, pet insurance is a great way to give yourself peace of mind. Pet insurance will help you cover the costs of emergencies, surgeries, medication, and more for your pet. If you are traveling without your pet, insurance can also help ensure whoever is looking after your pet is able to get them the care they need without you. In addition, you can often times get insurance or a supplementary wellness plan for regular visits to the vet as well. Getting set up with pet insurance before the summer hits is a very smart idea if you plan on having your dog outside or in potentially unpredictable situations. There’s no doubt that you and your dog can have a wonderful time this summer, as long as you prepare ahead of time for any potential dangers. Simply gathering a first aid kit, knowing what to do if your dog is overheating, understanding CPR, and thinking about pet insurance are some great preliminary steps toward guaranteeing a fun summertime for you and your pet. Santa Clarita Veterinarian: Do You Need Pet Insurance?